Being one of the most iconic muscle cars in American automotive history is a lot to live up to, especially when balancing fuel economy with horsepower. The 2017 Chevrolet Camaro certainly takes on that challenge with gusto and provides drivers with three engine options to satisfy whatever their requirements might be. For most people, a 2.0-liter, four-cylinder engine doesn't sound very big, particularly in something that's supposed to be a muscle car. Compared with the small blocks of the past, 122 cubic inches sounds downright paltry. But size isn't everything. The turbocharger on the 2.0L engine gives a distinct boost in power, cranking out 295 foot-pounds of torque at just 3,000 rpm. In terms of power, the 2.0L engine puts out 275 horsepower at 5,500 rpm, making this engine a mouse that really does roar. Best of all, with a combined estimated fuel economy of 23 miles per gallon, there's plenty of bang for the buck at the pump. When looking for an engine that favors horsepower over other considerations but doesn't completely disregard them, a V6 is the go-to configuration. The 3.6L six-cylinder Camaro engine is a case in point. At 222 cubic inches, it's almost double the size of the 2.0L engine, but lacks the turbocharger attached to the smaller engine. With the turbocharger gone, the V6 doesn't have quite the same amount of torque, only 284 foot-pounds at 5,300 rpm. 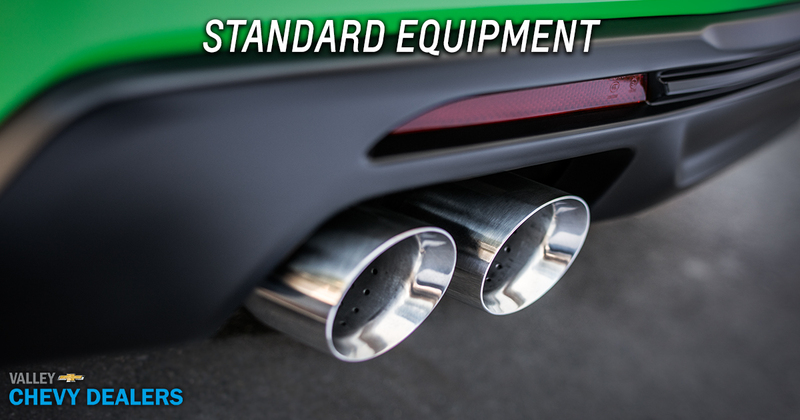 However, the size increase does provide a boost in horsepower, 335 ponies at 6,800 rpm to be exact. 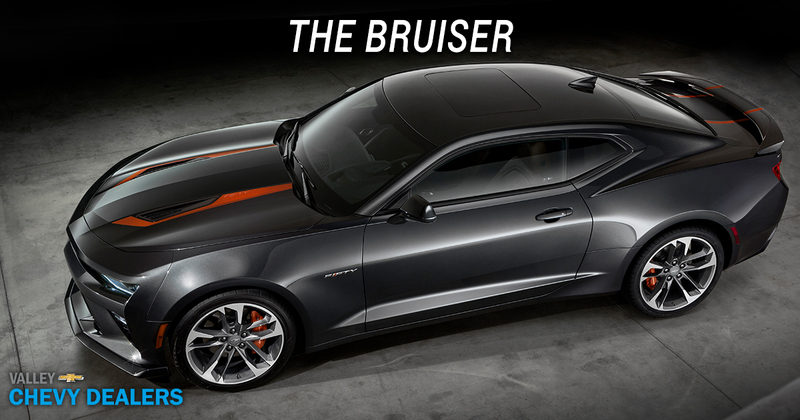 For a muscle car, there is nothing better than a big V8 engine under the hood as it snarls down the road. It's the choice for gearheads who demand the maximum horsepower, the highest top speed and the biggest block they can cram into the engine bay. 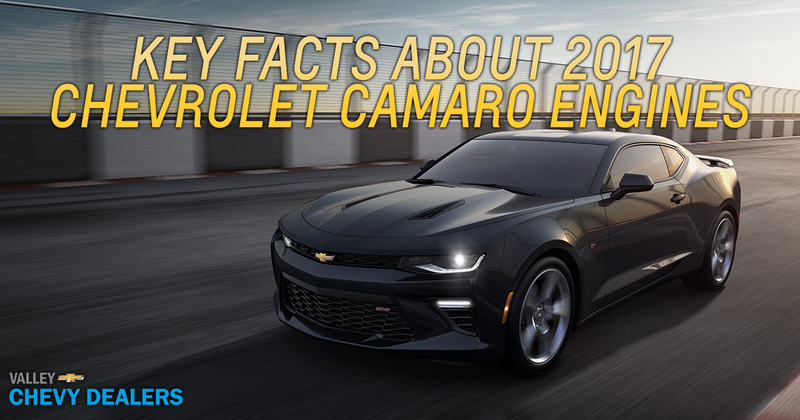 At 6.2L and 376 cubic inches, the V8 Camaro engine is one of the biggest engines in a Chevrolet passenger car. It turns out an impressive 455 foot-pounds of torque at 4,400 rpm, along with a solid 455 horsepower at 6,000 rpm. When a Camaro rolls up with this engine under the hood, there will be no question that there's power just begging to be turned loose. 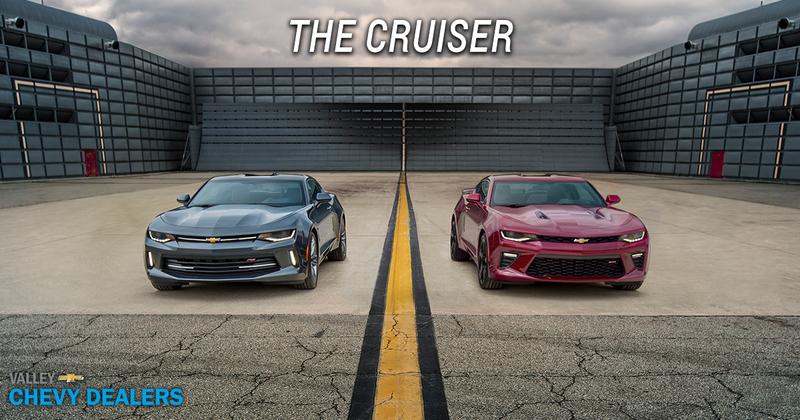 No matter which engine you choose, the 2017 Chevrolet Camaro is going to provide a fun ride for everybody involved. Visit your nearest Valley Chevy dealer and schedule a test drive today.